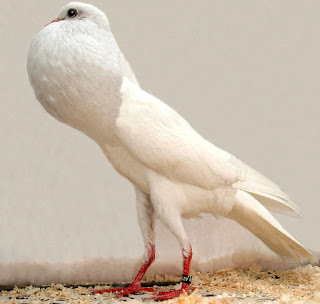 The Brunner Pouter pigeon is a small sized breed with slim and elegant body. It has a huge perfectly round crop or globe. Bill of these birds can rest nicely on the globe, and their eyes should be in a vertical line above the toes.